Choosing fairway woods is rather like buying a new car. Looks and image are important, but in the end you really are best off taking it for a spin. Deciding on what fairway wood(s) you want can be harder than choosing your driver. With more lofts, shafts and headsizes available it is not easy to find the perfect match for your game. However as players increase the number of woods in their bags, the manufacturers have upped their game also. With fairway woods, hybrid and utility clubs, the companies producing these weapons are using a lot of research and development into making the perfect club for you. When looking for a fairway wood you have to decide what you need it for. Do you require more height on your shots? A club to replace your 3 iron? A club to use off the tee? Or do you need a club to hit from rough? These are all questions that fairway woods can answer and the following information will describe the differences between them and help you decide which one is right for you. 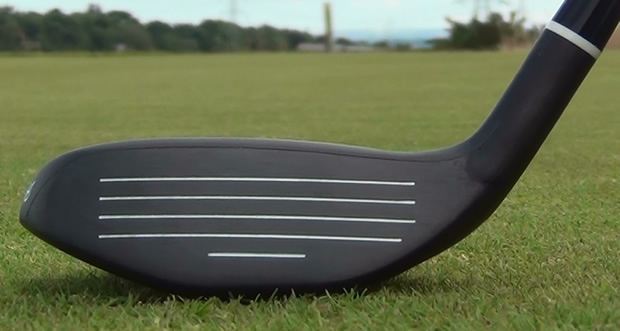 Having more loft than drivers, fairway woods are easier to hit and can be more accurate. Sometimes a 3 wood in the right hands can easily travel as far and the extra loft makes it more forgiving and easier to hit the fairway. If you plan to use a fairway wood more from the fairway then you need to decide if its main job is just for distance or for approach shots into the green. If it is for the latter, then more than one fairway with higher lofts would be better so that it lands and stops quicker. Many people would rather hit a high-lofted wood into a green than a 2, 3 or 4-iron. In which case 3, 4 and 5 woods and even higher are what you’re after. The larger club head of a fairway wood compared to an iron makes it easier to achieve more distance without over-swinging. As a rough rule of thumb, a 4 wood would replace a 2-iron, a 5 wood the 3-iron, a 7 wood the 4-iron and a 9 wood the 5 iron. If you want to go for glory, there are some holes which are just too long to reach with a drive and a long iron so you will require a fairway wood. If you expect predominately to use the club from the fairway, look for one where the head is fairly shallow. You’ll still be able to use it from the tee, but a lower profile head will be better for hitting from the tighter lies of the fairway. Should I Get Fairway Woods Or Hybrids? This will depend on the individual player and what they want from their set. In the main, most people will suit having a driver, then 1 or 2 fairways then 1 or 2 hybrids. The larger heads of the fairways will be more forgiving and send the ball higher as they create more backspin. Fairways are better from the fairway and the tee. The hybrids will be better from the rough as the smaller heads will get the ball out of uneven and bad lies more easily. Look at the courses you play and the distances you need to reach and pick a combination of lofts and club to meet those needs. Remember that 19° fairway will go further than a 19° hybrid because the head will generate more speed and the shaft will usually be longer. Although not as popular as in drivers some manufacturers are now offering adjusability in fairway woods to allow players the ability to customise the club to fit their swing and conditions. Most of the adjustability contained within these fairway woods can be broken down into three aspects. 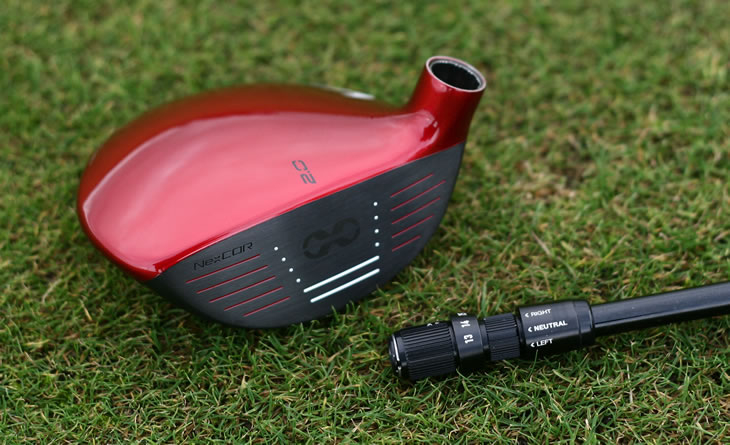 Players are able to adjust the loft of their fairway wood using an adjustable hosel. Loft adjustments are made by removing a screw in the heel, connecting the shaft to the clubhead, and replacing it to a predetermined setting. This allows the loft of the club to be increased or decreased typically by up to 4 or 5 degrees. Changing the loft of the fairway wood will also change the lie, that is the angle of the shaft to the ground at address. Changing the lie will have some impact on horizontal ball flight. Some of the adjustable hosels allow you to change loft angle independently from lie angle so this is something you should be aware of if you are considering an adjustable club. Adjustable clubs are made to allow you to optimise your ball flight and performance so pick a loft and lie that allows you to get what you want from your fairway wood. Face angle is the angle of the face at address. A square face angle is one that sits perpendicular to the target with an open clubface facing away from the player and a closed clubface facing towards the player. An open clubface decreases loft whilst a closed clubface effectively adds loft. Face angle is mainly a personal choice but it can have an impact on ball flight. A closed clubface may help players who struggle with a slice whilst an open face can help the impact position for players with a tendency to hook the ball. Although less prevalent in fairways than in drivers, certain manufacturers do offer clubs with weight screws or moveable weights that allow you to manipulate where the weight is located in the clubhead and therefore influence ball flight. Increasingly these weights can only be adjusted as part of a custom fit process rather than by the golfer, so check if this level of fine tuning is available. Most of the fairway woods on the market will have a head constructed from steel because the head is not required to be as large as a driver. Steel offers a strong, forgiving element to the club and this inexpensive metal can be easily manufactured for a smaller head. Relatively outdone by steel in this area, titanium is still used in many fairway woods. The basic lightweight nature of titanium makes it a useful face for fairway metals. Commonly reserved for slightly larger headed fairway woods, titanium is being used more and more by companies in their fairway clubs. Also, because it is lightweight, the thin face means that the weight and centre of gravity can be moved lower, wider and further back to produce high hitting forgiving wood. Like most titanium clubs however, the price of the metal is represented in a relatively expensive price tag. There are a few composite fairway woods creeping onto the market. Lighter material such as carbon is placed on the crown or rear of the clubhead allowing manufacturers to reduce the weight of the head for lower and perimeter weighting. This makes the club much more forgiving and at a cost that is less than titanium. Some models also use heavier materials such as tungsten to position weight towards the perimeter of the head to increase forgiveness. Shafts are a vital part of any club, but even more so on a fairway wood. Many hybrid and utility clubs have appeared in the game with shorter shafts with the benefit being that these clubs will feel more like an iron and offer more control. However, that is not the aim of a shaft of a fairway club and the longer shafted fairway woods are designed to offer more distance as the club head speed will be greater. Although sacrificing a certain degree of control, the function of a fairway wood is primarily distance. Most fairway woods come with graphite shafts these days because it is lighter and different flexes will suit all swing speeds. For more information on shafts, go to the Golf Shafts Buying Guide. Fairway with all the tech, great feel and adjustable hosel. Looks, feel, performance at a great price. Everything you need from a fairway.